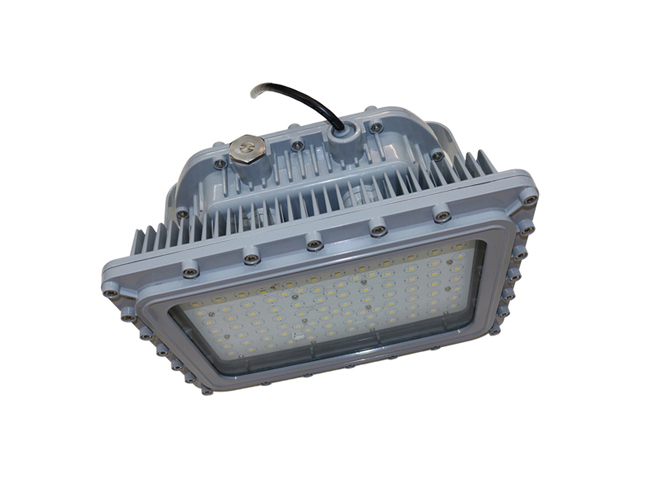 The EXD Series Class 1 Division 1 Explosion Proof LED Flood Light is a very durable high lumen luminaire that can stand up to wind, rain, snow, corrosion and vibration. 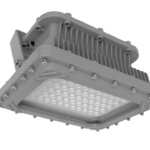 The EXD Series is a great fixture to replace old metal halide and HPS fixtures and update to the newest technology. Suitable for Class 1 Div 1 and Class 2 Div 1 areas that have exposure to gases and dust such as: mining sites, oil and gas operations, chemical plants, fueling stations, waste water plants, Paper mills. Equipped with Cree XP G3 LED with Meanwell Driver. Corrosion Resistant Copper Free Aluminum body and frame with thermal shock resistant glass lens. Operating temp range of -40 c to 60c. Nema 3 and 4x. IP 66. Power supply 120/ 277 volt & 200/480 volt. High Lumen Versions 100 watt, 150 watt and 180 watt, 130 lumen per watt. 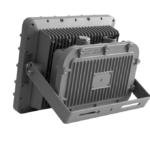 Comes standard with trunnion mounting bracket and 3/4 inch NPT side connection.